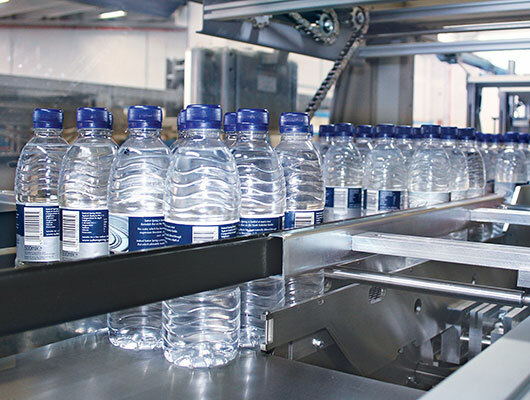 The new heat-shrinking tunnels of the ERGON range boast cutting-edge technical solutions that allow reducing energy consumption and ensure the utmost environmental compatibility of the processes as well as the improvement of the final quality of the packaged pack. 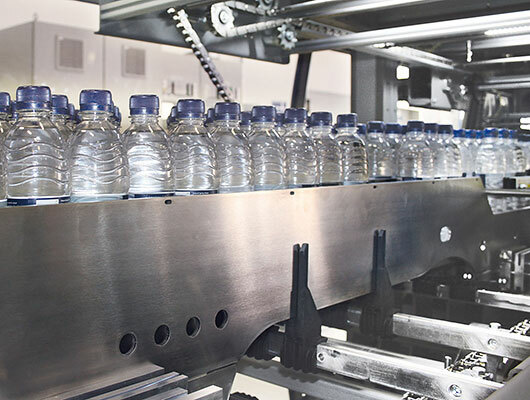 The CSK ERGON series is composed of automatic shrink-wrapping machines for packing plastic, metal, cardboard or glass containers. Depending on the model chosen, they can make packs in film only, cardboard pad + film, tray only, cardboard tray + film. The CSK ERGON series packers can achieve an output of max. 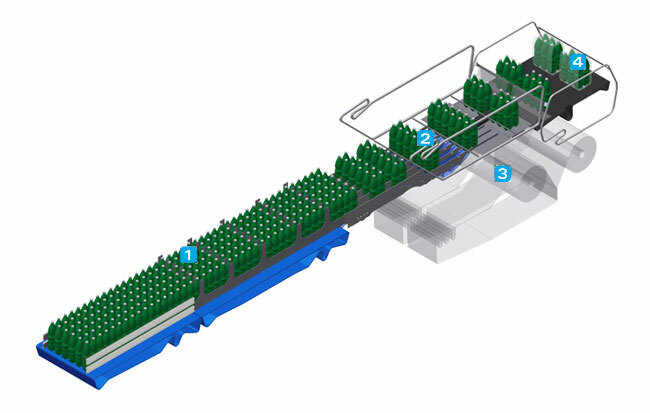 50 packs per minute in single lane (50+50 in double lane), depending on the machine model and on the product to be packaged. The pack collations can vary according to the container's shape and size. In general, the most frequently requested collations are: 2x2, 3x2, 4x3 and 6x4. All CSK ERGON models are equipped with an electronic product-grouping device and with film-cutting blade and flap-folding device actuated by direct drive brushless motors. 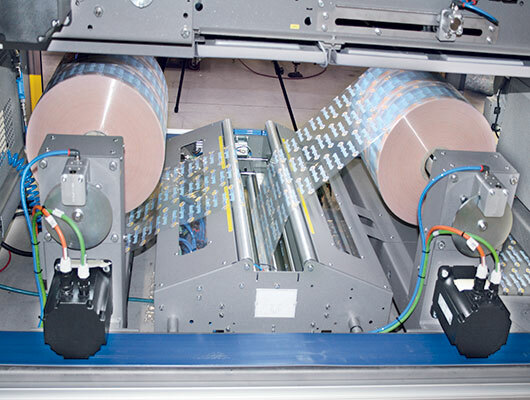 3The unwinding of the film reel, placed in the lower part of the machine, is controlled by a progressive brake, which ensures the film constant tension. 4Before the pack enters the shrinking tunnel, the film is wrapped around the container batch and overlapped at the base of the pack. 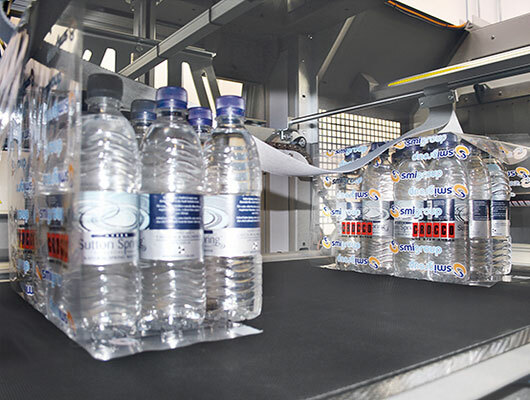 The POSYC® control panel, fixed or sliding on a boom running the whole length of the machine (depending on the machine model), enables even less expert operators to easily and effectively run the packer, thanks to an intuitive interface, a touch screen display and diagnosis functions and real-time technical support available on the POSYC®.